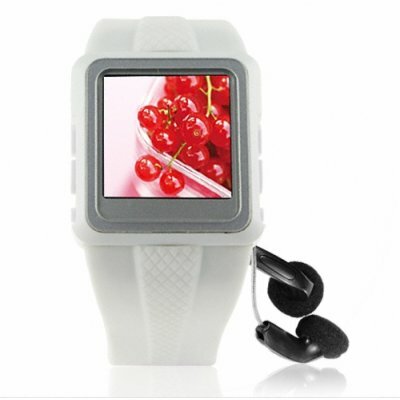 Successfully Added Original Watch MP4 Player 1GB White - 1.5-inch OLED Screen to your Shopping Cart. The Original MP4 Player Watch in a beautiful white color as featured on tech news all over the internet. Cool, highly popular gadget. This is a digital watch with a 1.5-inch full color video screen and 1GB of flash memory. You can watch videos on your watch and listen to MP3 music. Browse your digital pictures and digitally record sound! Brand new, full retail packaging with the accessories included in the box - a great product that you need to have in your catalog. Plays videos in full color on 128x128 pixel screen. Impressive crisp, bright display. If you wish to make comments or reviews about this product, login and use the product review box. Please open an inquiry ticket if you have questions regarding this product..